Chris Quillin holds a B.A. in English from Texas Tech University (1991) and a J.D. from The University of Tulsa College of Law (1994). 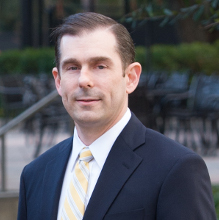 Chris has been a licensed attorney in Texas since 1994. Throughout his legal career, he has acquired experience in the following areas: probate and estate planning, contracts and real estate transactions, and civil litigation (including complex commercial and business litigation).